Disclaimer: No foodie story, recipe or photo has been shared in this post. But we will get back on the foodie track soon! 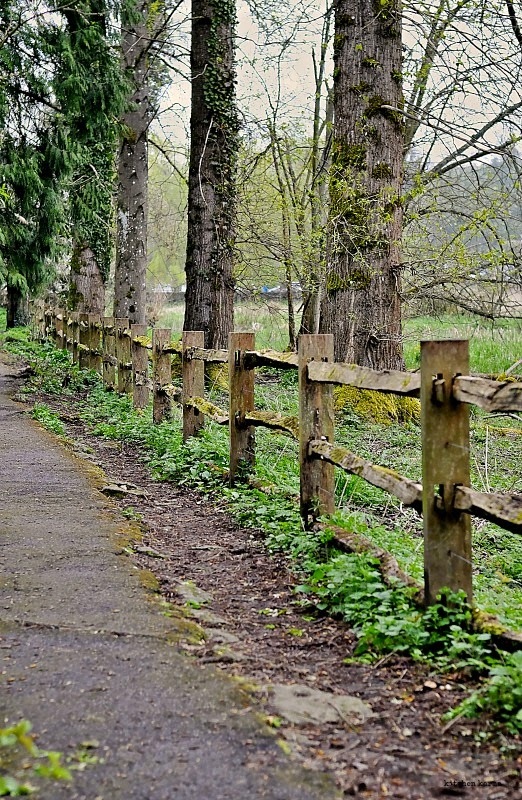 This post is written in jest, with no intentions of hurting or offending anyone! 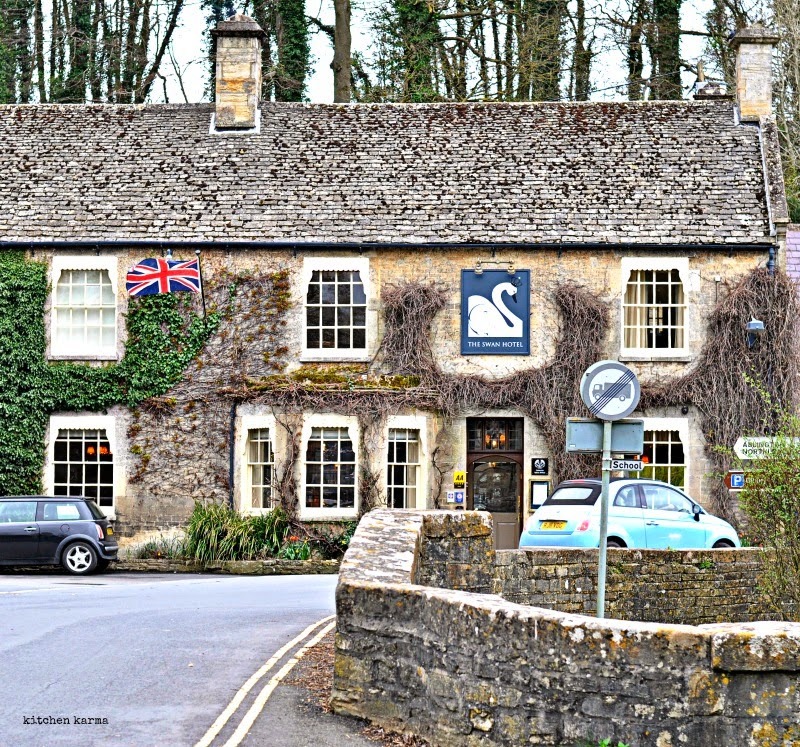 The first part of the Cotswolds adventures are here. After being fed, shopped and throughly charmed by Bourton-on-Water we decided to venture further into the Cotswolds. 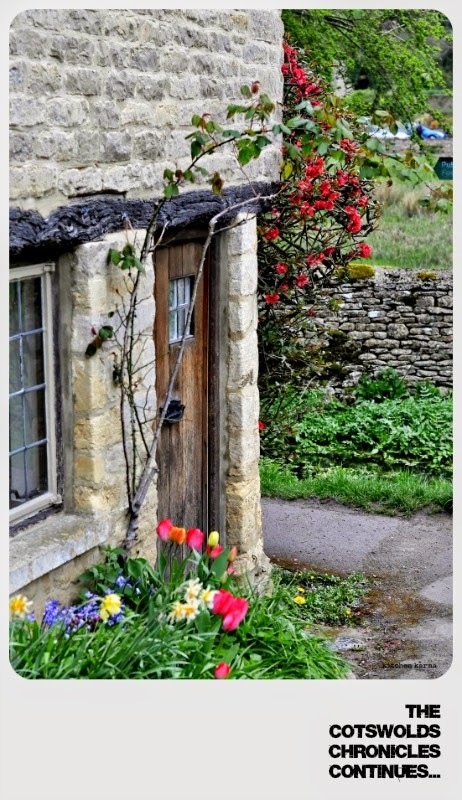 N our lead researcher for the trip, had found out the Arlington Row houses are a must-see in the Cotswolds. 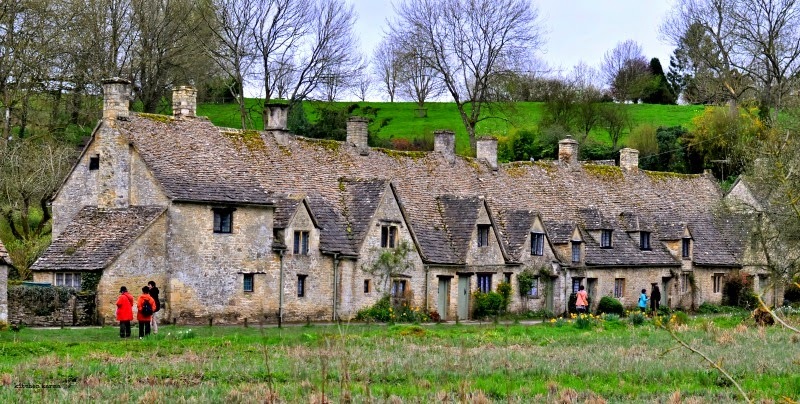 So after lunch we happily piled up in the car and headed towards Bibury which is where these houses are located. After a few more hilly roads which G drove through like a pro and we reached Bibury. 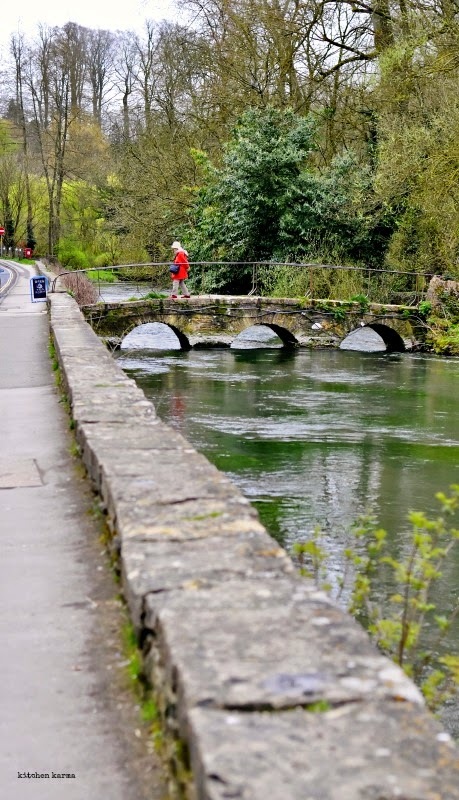 The touristy bit of Bibury village consists of a Trout Farm with a cafe and gift shop, the River Coln, a tributary of River Thames which passes right through the middle of the Bibury high street and the Swan Hotel which faces the river. And of course the Arlington Row houses. Now parking in Bibury is really limited. The car parking space faces the trout farm and the Swan Hotel is about a minute away. It is actually a tiny patch with space for about ten to twelve cars and that is it. And all the cars parked there seemed to be growing roots with no intention of moving anywhere any time soon. We drove around that place a couple of times, and then finally saw one of the cars making a move out of the car park. There were several cars scouting for parking slots. We were parked a little distance away and had got down from the car to stretch. You should have seen N and my agile sprint to the spot to grab the car park. I am sure the other drivers were too busy watching our antics to realise that the coveted space is gone. How proudly we waved G into that space and ignored the scowls on the faces of the other drivers. Now we were ready to grow roots. After parking, we took the walking bridge weaving our way towards the famous 17th century weavers cottages. We crossed the River Coln, saw a few people standing on the banks trying to wave something off. A closer look into the river and we saw an angry looking swan sailing towards us and a gaggle of ducks quacking away. And then right before our eyes a spectacular duck vs swan fight ensued. All that rustic calm was torn to shreds by angry flapping wings of the swan and the panicked quacks of the ducks. The villain of this story was the majestic looking white swan, it kept attacking one particular duck. The duck was rushing away and then coming back soon afterwards. We were wondering why the poor duck did not run to save her life. Soon we realised that because the evil swan's intention was to drive the duck away so that it could attack her tiny ducklings who were shivering in fright by the side of the river. I am sad to report that the evil sawn did kill one tiny duckling. N and me, we completely freaked out and ran from the scene. Brave city chicks that we are. G, N and M stood on the bridge and watched the whole episode. G even went home and told the story to her fascinated son, who made her repeat the whole thing some ten times. The River Coln where the swan vs duck fight happened! I don't know who that evil swan belongs to. Maybe the Swan Hotel or maybe the trout farm because while coming back we saw that swan sitting serenely in the waters of the trout farm. But whoever it belongs to, it needs to be restricted. As for us, I think all of us, we are off swans for life. They may look spectacular, but don't go by their looks, they are evil big bullies and little duckling killers. Finally after all that drama, we were on our way to the Arlington Row which is about 5 minutes walk from the car park. 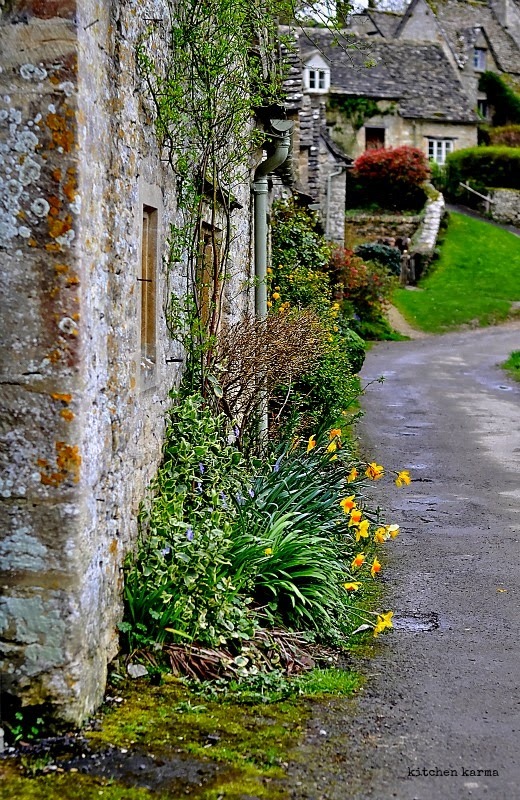 The row is really pretty with honey coloured stone cottages with steeply pitched slate roofs. If I did not know the history I wouldn't have believed that these houses were built in the 1380 as a monastic wool store. 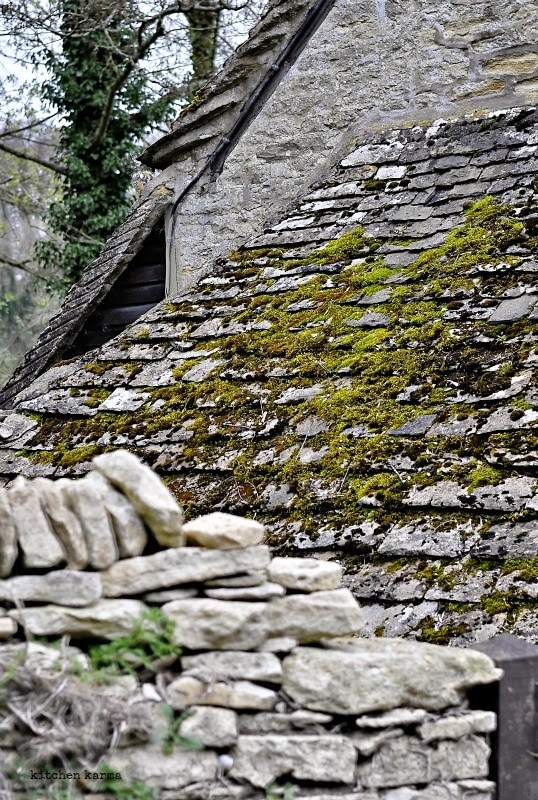 In the seventeenth century they were converted to weavers' cottages. People live in these even now. 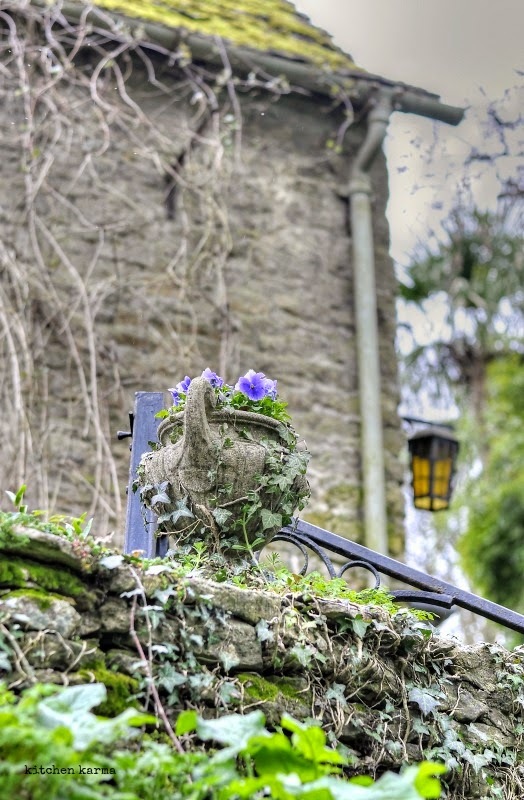 Considering how old these cottages are they are in really good condition. Since when we visited the season was just starting the place was almost empty. But we are told that during the season which is summer the place literally throngs with tourists. My first thought was imagine how difficult parking would be at that time! After we saw the cottages, we posed for photographers which a kind Japanese gentleman took for us and then headed back to the trout farm gift shop. 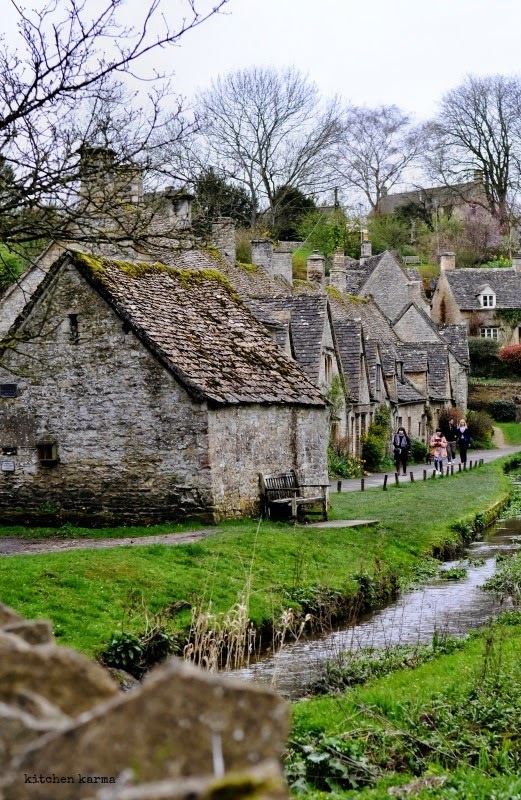 If you are doing a trip to the Cotswolds do go to Bibury, but don't keep more than a couple of hours at the max. 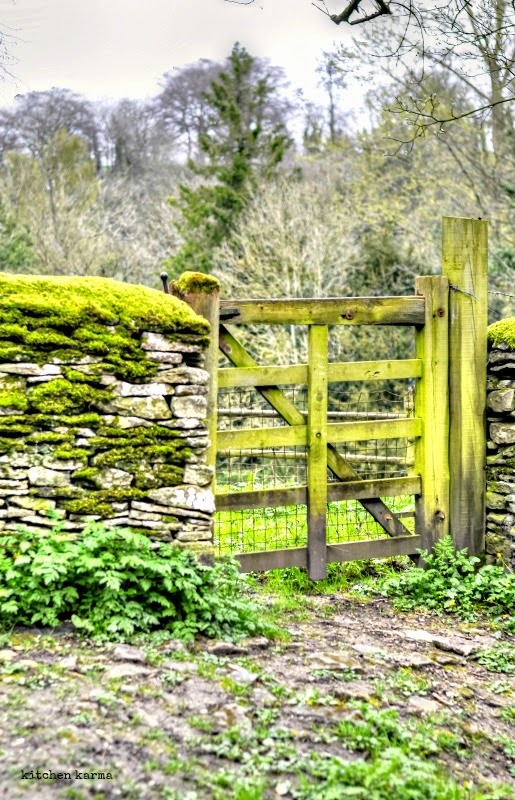 Very beautiful photos of the Cotswalds. Maybe the rivalry between swans and ducks is part of nature, not a representative of pure good & evil. Would love to visit one day; photos are fabulous!